ROCKVILLE, MD--(Marketwire - Feb 22, 2013) - Sales of over-the-counter oral care products reached $4.9 million in 2012, up 2.2% from 2011 sales, according to Oral Care Products in the U.S., 8th Edition, a just-released study from market research firm Packaged Facts. In the oral care market, health concerns are the number one driver of sales, but other factors come into play as well. Consumers are also looking to whiten their teeth and freshen their breath. If a product can do all three, all the better: products that provide multiple benefits are proving to be the most attractive to consumers, as they are more convenient and affordable than the alternative of having to purchase multiple product types. Similarly, marketers looking to spur sales in several categories have had success with "product suites," groupings of products presented as a complete oral care package, which encourages consumers to remain brand-loyal. The ability to achieve professional results at home without the expense and time of a dental office visit is another powerful product positioning, notes David Sprinkle, research director at Packaged Facts. By 2017, Packaged Facts projects that retail sales of oral care products will approach $6 billion, reflecting a compound annual growth rate of approximately 4%. Besides the driving forces of the increased appeal of multi-function products, professional quality products and oral care "suites" that provide a one-stop shop for consumers, market gains will be stimulated by the growing Hispanic population and the aging Baby Boomer market. The annual percentage gains could be higher if oral care marketers are able to produce exceptional ingredient developments or research findings, or are able to develop new product lines that address previously underserved dental conditions, such as dental care for diabetics. Conversely, this generally mature market could see sales slip should consumers ignore the growing focus on oral care and overall health, or should another economic downturn affect their willingness to spend on personal care items that are not seen as a necessary part of their health regimens. 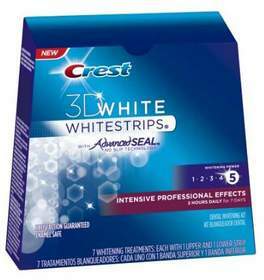 For more information on Oral Care Products in the U.S., 8th Edition, please visit www.marketresearch.com or http://www.packagedfacts.com/Oral-Care-Products-7359650/. About Packaged Facts - Packaged Facts, a division of MarketResearch.com, publishes market intelligence on a wide range of consumer market topics, including consumer demographics and shopper insights, consumer financial products and services, consumer goods and retailing, consumer packaged goods (including foods and beverages, health and beauty care, and household products), and pet products and services. Packaged Facts also offers a full range of custom research services. To learn more, visit: www.packagedfacts.com. Follow us on Facebook, LinkedIn, Twitter, Google+, and on our blog: http://packagedfacts.blogspot.com/.